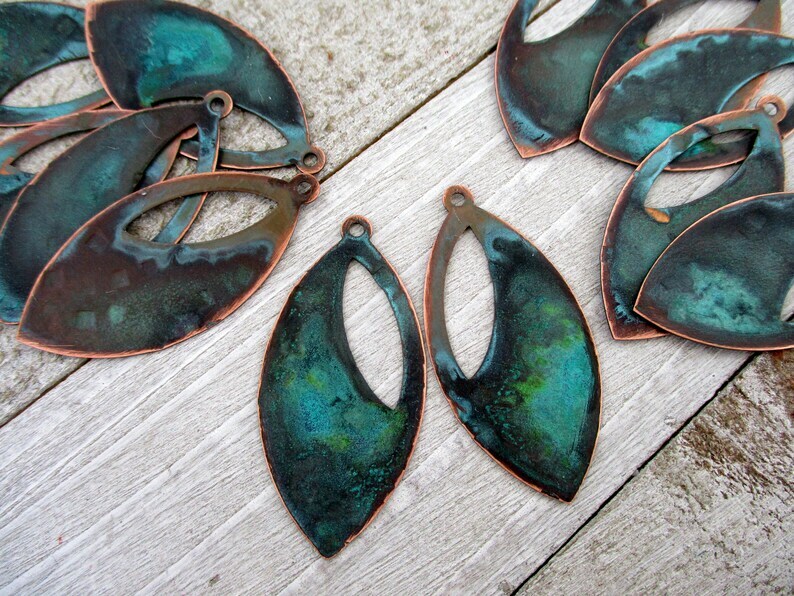 24 gauge copper, with a green/brown verdigris. There is a 2mm hole at the top. You get 2 random pieces from this batch. Very limited supply of these small batch handmade charms. This made to order piece can take up to 2 weeks to create. Love this Etsy seller. Always high quality beautiful items. Love!!! !